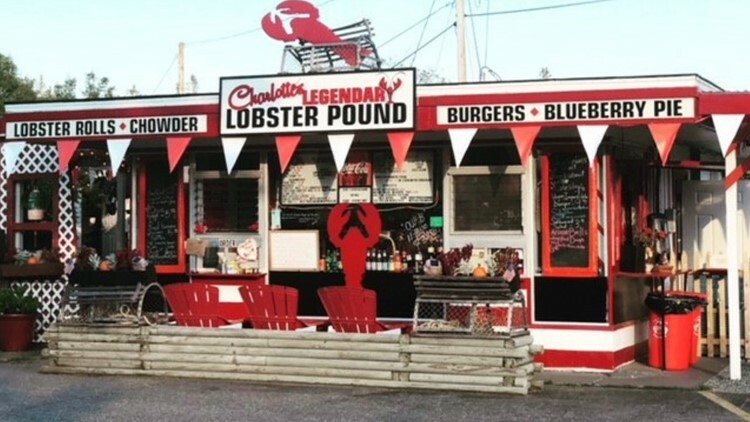 Charlotte Gill owns Charlotte's Legendary Lobster Pound in Southwest Harbor and is experimenting getting lobsters high to ease their "pain and suffering" before they are steamed to death. The result, Gill says, is not just a more humane way to kill the creature but the "best tasting lobster you've ever had." SOUTHWEST HARBOR (NEWS CENTER Maine) — If Maine is known for one thing it would probably be the delicious lobsters caught in the cold New England ocean. And any way you can imagine the crustacean, Maine restaurants will serve it: lobster rolls, lobster mac and cheese, lobster bisque, lobster pizza, even lobster ice cream. And now, just when you thought there was nothing new, there are high lobsters. 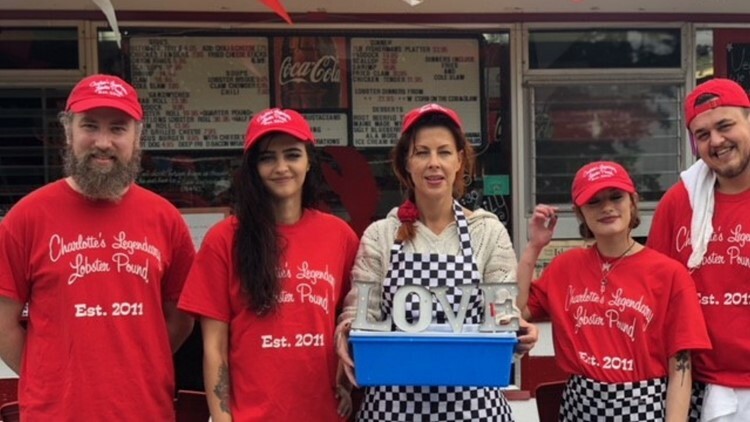 Charlotte Gill (center) owns the lobster pound and is holding the plastic container where she experiments with getting lobsters high so they will have a more "humane death." Switzerland recently made it illegal to boil lobster or ship them on ice, after studies showed the crawling creatures can feel pain. Gill says lobsters, just like people, have cannabinoid receptors and are able to utilize the effects of THC, which is the calming ingredient in marijuana. She says getting lobsters high allows them to feel no stress or pain when they are boiled. Gill, who is a registered medical marijuana caregiver, began experimenting with the idea starting with one lobster she named Roscoe. The lobster was placed in a small plastic crate immersed halfway in water. A straw infused the air and water in the crate with cannabis. Charlotte's Legendary Lobster Pound in Southwest Harbor is doing something not done anywhere else, getting lobsters high before they are boiled or steamed to death they say so they will not feel pain or suffering. The lobster sat in the water and air for three to five minutes with his claws unbanded. Gill says, not only did they notice immediately that Roscoe was very calm and placid, being able to touch his claws without a pinch, but they observed the creature for three weeks and noted no adverse effects. Gill says the lobster only got high once, but they observed he even had a calming effect on the other lobsters he was around. Roscoe was released in the ocean, but Gill has continued to test. She wanted to make sure that none of the cannabis was transferred to the person eating the lobster. So far, her subjects eating high lobsters have all passed marijuana urine tests. Gill says people from all over the world have expressed interest in her work, and she's gotten a lot of attention, but she is clear on one thing. Gill is hoping that this method of killing creatures for food becomes an industry standard for everything from chickens and cows to lobsters. If her latest tests go well, Gill says the high lobsters will be for sale next week, and there will be no additional cost for the cannabis. Gill says cannabis has helped her battle depression and she has seen enormous improvements from the plant in her personal life.